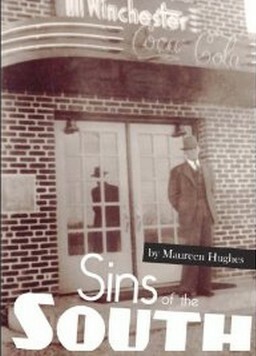 Maureen Hughes was first introduced to Countess Marajen Chinigo in the 1980s in a hospital room in Champaign, Illinois. Assigned to provide personal security to the Countess, Hughes knew few details about the woman she was protecting. Little did she know that Countess Chinigo was a woman connected to some of the most notorious and famous—or infamous—people of the twentieth century. Hughes did not see the Countess again until a few years later at a local art museum. Intrigued by the impeccably dressed woman who strolled through the crowd like a queen, Hughes vowed to find out all she could about the mysterious Countess. As Hughes shares the fascinating story she uncovered after conducting three years of research and in-depth conversations with friends of the Countess, she unveils a time period where mobsters, presidents, celebrities, and countesses all mingled among dark, captivating secrets. Hughes reveals details about the famous figures the Countess hobnobbed with like Frank Sinatra, Joan Crawford, and Lucky Luciano, her marriage to Johnny Rosselli, and her eventual entanglements with the Mafia. The Countess and the Mob paints a compelling portrait of the kaleidoscopic shapes and colors that made up the extraordinary and unforgettable life of Countess Marajen Stevick Chinigo.